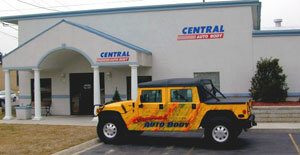 Central Auto Body has been providing quality professional service to auto owners in the Chicago area since 1972. With cutting edge technology, craftsmanship and experience, Central Auto Body continues to restore vehicles to pre-accident condition. Employees are I-CAR certified. I-CAR Training is the industry standard for automotive collision repair. This international, not-for-profit training organization is dedicated to improving the quality, safety, and efficiency of auto collision repair for the ultimate benefit of the consumer. 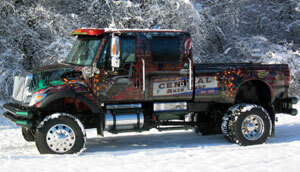 At Central Auto Body you can be assured your vehicle is being restored to the highest standards possible. All of our repairs are backed with a lifetime warranty. 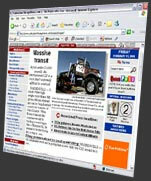 To achieve the results you are looking for in restoration we use computerized measuring systems to bring your automobile back up to factory specifications. We want you to be satisfied with the results and proud to drive your vehicle after it has been put back to pre-accident condition. Central Auto Body takes pride in making it more convenient for you to have your automobile repaired after a collision…with the confidence your vehicle will meet all your expectations the moment it rolls out of our repair shop. Stop by Central Auto Body, located on the corner of Central Ave. and Roselle Rd., one block south of Irving Park Rd. We can assist you in making insurance claims by dealing directly with most insurance companies. Central Auto Body is a member of the Direct Repair Program (DRP) for most major insurance companies. What does this mean for you? Now you can bring your car to us and get it repaired without hassle. We can take the pain out of an accident by dealing with the insurance company, helping you set up a car rental and having your car done on time with a friendly staff. No more running around getting estimates. No more waiting for the estimates to get your auto ready for the road. To take advantage of this service, just call your insurance agent to see if Central Auto Body is on their DRP list. If the agent verifies Central Auto Body is on this list for their insurance agency, stop in at our Roselle location for an estimate. At that time, we would set up a date to fix your vehicle and help you get a car rental reserved. That is it. We have a very friendly staff to help you through this unfortunate time. If your insurance company does not have a DRP, Central Auto Body still works very well with most insurance companies and can make the process a more pleasurable experience.